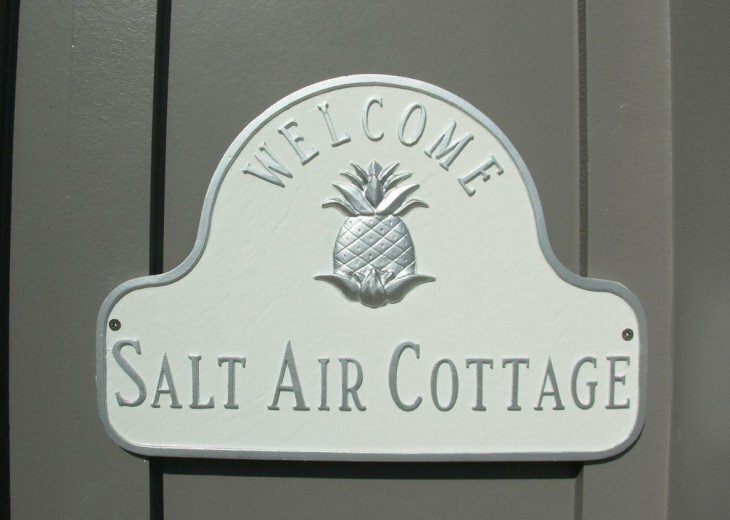 Salt Air Cottage - beach house with calming, upscale, coastal charm. Our goal was to bring the South Walton coastal design to beautiful Cape San Blas. We invite you to reserve your stay at our beach house and enjoy the fruits of effort from the many that made this possible. We humbly thank the craftsmen, architects and interior designers that worked so hard to make this happen. 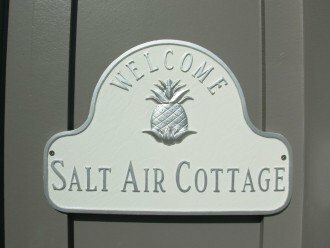 Salt Air Cottage has been professionally decorated to bring you a calming spa-like coastal chic feel. Beds to sleep 15. Many custom features to include coastal trim, ceramic tile, granite and plenty of windows. A well stocked kitchen, two refrigerators and gourmet-quality cookware plus a coffee bar located on the bedroom level to enjoy your morning coffee out on the porch in an Adirondack chair overlooking the gulf. The main level den is open to the kitchen and dining area for large gatherings with seating for all and opens to the spacious covered porch with outdoor seating. An outdoor grill is located at the pool area where you will find a picnic table and bar along with pool furnishings. 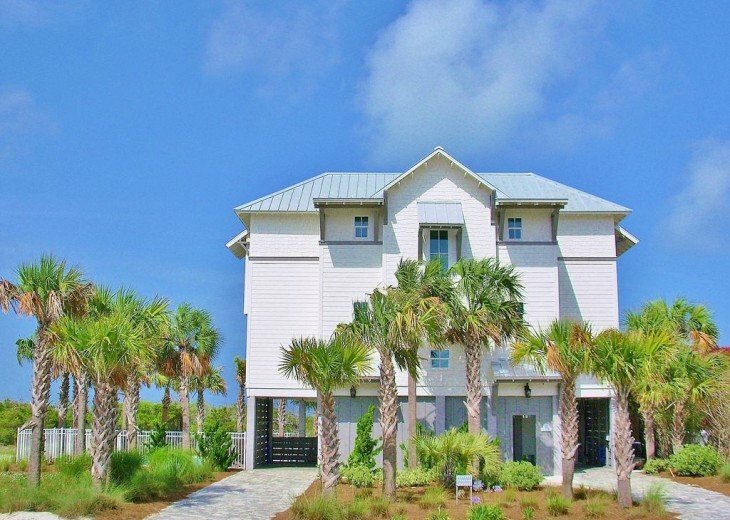 Salt Air Cottage was specially designed by the owner to maximize gulf views from every room. Two spacious covered decks and the private pool entertainment area cater to outdoor family meals and gathering or simply relaxing in Adirondack chairs with beautiful views and the tranquility of ocean waves. The elevator enables mobility for all guests. A coffee and beverage station just outside the bedrooms is convenient for early mornings and evening indulgence. Serene upscale interiors are intended to refresh and renew with the simplicity and comfort of an old Florida vacation. Kids love to play in the private pool. The beach is great for building sandcastles, collecting seashell treasures and chasing sand crabs. Cape San Blas is like going back in time; Old Florida at its best. The Seagrass community is quiet and family friendly; a special, sought after, private vacation community. 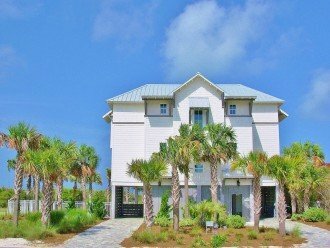 It offers a club house, community pool and the beautiful Cape San Blas beach which was ranked #1 beach by Dr. Beach in 2002. The Cape continues to be considered one of the top five beaches in America. 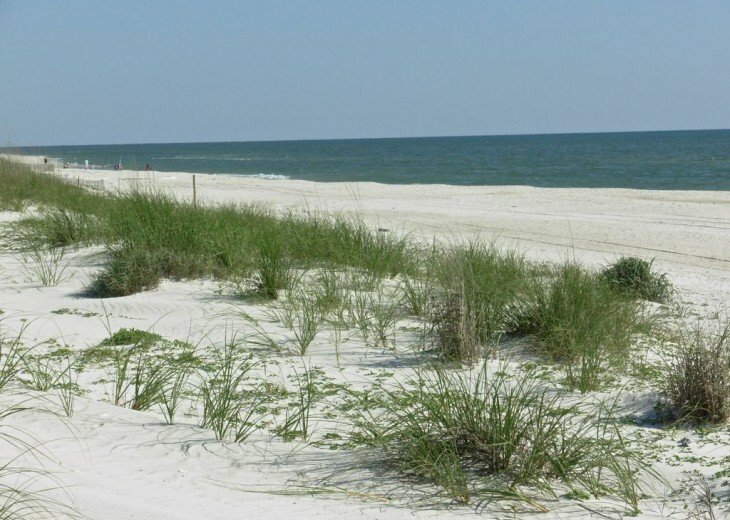 There are no tall condos or hotels anywhere nearby; just simply miles of pristine beaches and large dunes! As you stroll along the quiet beach, you can collect a variety of seashells or just enjoy watching the dolphins swim by or eagles and osprey scouting for prey. Of course, swimming, snorkeling, sunbathing, kayaking or fishing in the surf are also a favorite. 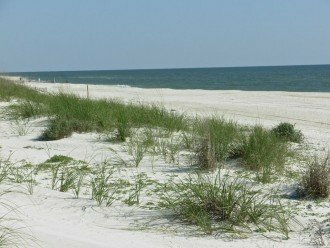 Explore St. Joseph Peninsula State Park just a few minutes away with it nature trails, huge natural dunes, fishing, and abundance of birds. You may want to rent bikes and golf carts to cruise on the many miles of bike paths or kayaks and motor boats to explore the bay, gulf, many waterways or fresh water lakes. Or you may prefer sunset horseback riding on the beach as it can also be conveniently arranged. St. Joseph Bay Country Club open to the public is only a few miles away offering a golf course along with tennis. For water exploration there are five separate boat ramps within a few miles offering access to St Joseph's Bay, Apalachicola Bay, St. Vincent’s Island National Park, Lake Wimico for large mouth Florida Bass and many other waterways. You can catch blue crabs, throw your cast net for shrimp, collect Apalachicola Bay Oysters or go scalloping in nearby St. Joe Bay. Enjoy these delicacies or freeze them for your return home. If you're not in the mood to cook, there are a number of great, local restaurants and night spots nearby. The famous Indian Pass Raw Bar is just a few miles away, offering the area's delicious oysters, shrimp, gumbo and often featuring live entertainment and dancing. It is just 20 minutes to the historic and quaint fishing town of Apalachicola. Here you will find some great shopping as well as many restaurants offering the worlds best seafood along with night spots. Walk the boardwalk and see what catch the fishing boats have brought in for the day or visit the charming shops. The village of Port St. Joe is 15 minutes away with numerous shops and restaurants; a good place to stock up on all of the provisions you'll need. Skully's Low Country Boil, Provisions restaurant, The Owl Cafe, Indian Pass Raw Bar, Krazyfish Grille, Sand Bucket BBQ, Peachy's Beach Eats, Joe Mama's Wood Fired Pizza, and the Sanddollar Cafe. Cape Tradin' Post is great for steakburgers and pizza on the go. Weber's doughnuts are a must. Loggerhead Run is an 8 mile paved bike trail along the length of Cape San Blas from 30A all the way to TH Stone Memorial St Joseph's State Park. Our arrival and departure day is on Saturdays unless it is off season, typically December, January. Please inquire if needed. Payments; 50% to book, 50% at 60 days of arrival. If three payments are needed, we will be happy to work it out. Our quoted rates are for payment by check. We are happy to accept payment by credit card (PayPal)if prefered however, we will need to add a 3% administrative fee to the quote. If you would like the pool heated it is $265/week. If you would like to bring your well mannered indoor dog we have a clear pet policy and charge a $90 per pet fee. If you book for 2 weeks HouseKeeping comes in at the end of the 1st week to change the sheets/towels. You will be charged $200 in addition to the quoted Cleaning Fee. Rates include linens, bath towels, starter supply of paper towels, TP & soaps. 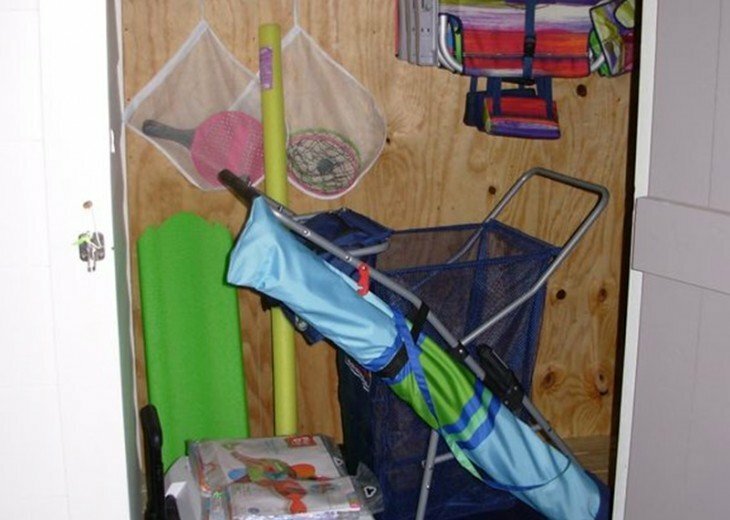 Beach equipment provided: 4 beach chairs, umbrella, beach cart and various rafts, boogie boards, beach toys, buckets & nets, cooler with wheels. About the owner: We are Bob and Rhonda Toler of CottageRents. We designed and built our homes for guest enjoyment and comfort. Bob’s background is architectural engineering and professionally built homes in Birmingham, Alabama. We have enjoyed the Cape for years and love to share this special place with others. It is our pleasure to extend our home to our guests. Why this property? After vacationing at the Cape for many years, we decided to purchase a lot and build our dream. We invite you to relax and enjoy our beach cottage in the popular Seagrass community and fall in love with the unspoiled beauty of the Cape too. We have 53 Five Star Reviews on another site that our guest post reviews that we have been on for 3 1/4 years but have only moved a few over due to the time involved. You are welcome to view, please request. 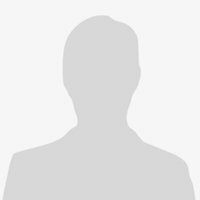 We have not requested our guest come to this site and post as most of our booking have come from the other site. My husband and I decided to vacation somewhere different in Florida this year so we chose The Salt Air Cottage in Cape San Blas. The home is absolutely stunning with incredible views from every room. The beach is very private and one perk is that you can have bonfires on the beach at night while watching the sunset. It was awesome!! Bob, the owner, was wonderful to work with and very informative about the area. He provided information about the Cape, outdoor activities and dining. This truly was a home away from home. We will be back!! Beautifully built home with upscale furnishings. We had a toddler, a 3 year old, 2 great grandparents, grandparents, parents and a dog and this place fit our needs. We had plenty of space, big bathrooms and well equipped kitchen/living space to accommodate everyone! The electronics are top notch. The elevator was a huge plus for the great grands as they would not have survived 3 flights of stairs! Beach is a short walk and is a beautiful wide stretch of white sand with crabs and stars galore at night. Pool was refreshing after a day at the beach! Our kind of paradise!! If you want a quality family rental on the cape this is it!! The house was so well designed to support multiple families while giving each their privacy and every single person a view of the ocean. 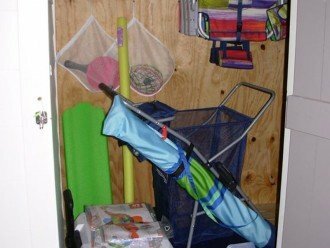 It was nicely furnished and equipped with everything we could possibly need. They truly thought of everything!! We are hesitant to give a great review because others will want to rent it and limit the opportunities for our family to have this gem to ourselves. Our family of 10 (5 couples) could not have been happier with this place. First, the house is beautiful, decorated very tastefully. The pictures don’t do it justice. Second, everything you think you might need to stay here has been thought of. Kitchen supplies are pleantyful and lack nothing. The pool was the perfect place to hangout after the beach. The beach was great and the house has literally everything you’d need for the beach, especially chairs, leave yours at home. The owners were very attentive to any questions or needs we had. Our family has stayed at many places on the gulf coast and this by far has been THE BEST!!! This is definitely on our list for a return visit. Bob and Rhonda thank you for providing such a great environment for us to creat memories we’ll cherish for a lifetime. Beautifullly decorated home overlooking the beach! After hours of searching, we chose this beautiful home to celebrate our 50th anniversary with our children and grandchildren. It definitely exceeded our expectations with the beautiful well-maintained decor, extremely well equipped kitchen and attention to even the smallest details. We had the pool heated, which is definitely worth the cost if renting before the weather gets hot. And the elevator was such a plus with luggage and groceries to bring in. Bob was wonderful to work with and couldn't have made our stay more memorable! We would highly recommend Salt Air Cottage and hope to come back again. What a wonderful review. Thank you for your willingness to be together for 50 years, it has such a positive impact on so many. We look forward to your return. My family stayed here the week of 4/28/2018 and could not have been happier! This place is fantastic! The owner did not leave out anything when he designed & built this home. Five of the 6 bedrooms face the gulf front for breathtaking, direct views of the water. He was "over the top" using highest quality materials from beautiful tiled floors/bathrooms, and modern kitchen, to the most comfortable beds we've ever slept in! Pool was great too! 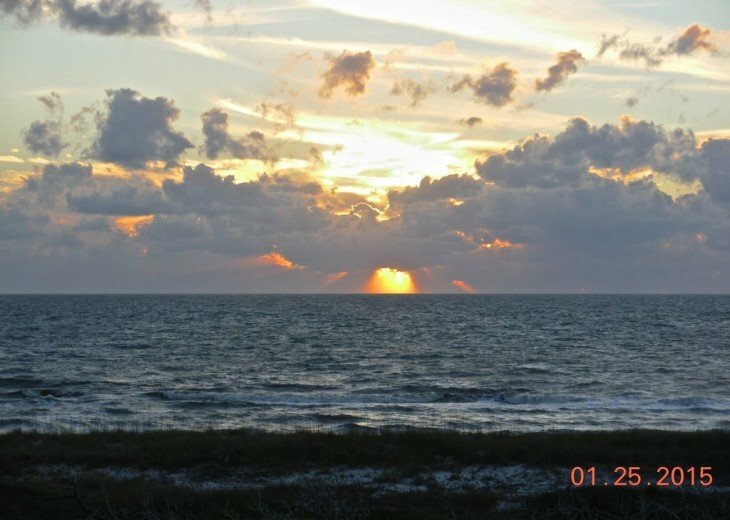 The house sits one lot back from Gulf, just steps from the private beach access, and due to protected dunes there is nothing obstructing your views. We watched an awesome sunset every night and had coffee on the beautifully furnished deck every morning. The owner was great in answering all our questions prior to our stay and made sure we we're all good upon check-in day. Thank you Mr. & Mrs. Toler! If we ever come back to the Gulf shore, we will be in touch! I could write pages about this home but will finish up by saying if you're interested in staying in Cape San Blas, this is the house! Thanks again from the Reed, Kirkpatrick, Meals and Young crew. You were so kind in taking time to write such an incredible review! It was our pleasure having you all as our guest. Please tell everyone hello. This home is amazing, along with the owner Bob. From our initial inquiries of this property through the entire trip - impeccable customer service! The home is beautiful - a perfect family getaway for lots of family time and few disruptions! I highly, highly recommend this home. It was such a pleasure to have met you all, what a wonderful family! Thank you for the kind review, tell everyone hello and enjoy the future! This was amazing! Well stocked and gorgeous!! Thank you for your kind review! It was such a please to have met you and your family, please tell everyone I said hello. I trust the snow is gone by now and you all are enjoying good weather at home. Our stay at Salt Air Cottage was sublime...everything we’d dreamed of for our first “seaside vacation”! The beautiful decor is fresh and costal-chic, with every amenity (loved the linens- especially the giant beach towels). The outdoor space is awesome, and the beach is fantastic! One of our favorite things was the gorgeous landscaping around the house and pool. Large palm trees give you shady, “tropical privacy”. Our dog loved lying in the soft mulched areas while we enjoyed the pool. We felt like we were at our own private resort! Cape San Blas is stunningly beautiful and peaceful. We enjoyed trips to Port St. Joe (wonderful small coastal town) and Apalachicola (friendly historic village), and lots of delicious seafood from area restaurants, with Shipwreck Raw Bar in PSJ being one of our our favorites. The owners are extremely thoughtful and so kind, and truly have the gift of hospitality! How Kind of you! We love hosting wonderful guest. Please tell Bear we enjoyed having him and will try to remember to have fresh soft mulch for his next visit. Great weekend at Salt Air Cottage. The owners have provided everything you need. Bring your clothes, food, and drink, and you are set to go. Beautiful beach views, especially sunset, from the main floor and every bedroom. Very short walk to the beach. 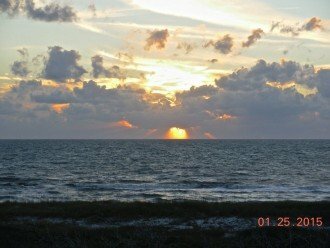 We visit Cape San Blas regularly and will rent this house again. We enjoyed having you and your family as our guest. Thank you for taking your time and sending such a nice review. We look forward to having you and your family return as our guest! Can I talk with the owner direct? Yes, include your phone number and request that we call you. The house rents by the week; Saturday to Saturday. Where is the beach boardwalk? Walk out the back path and diagonally across the sand road to the short boardwalk to the beach.